On February 24th, bail agents kicked of the 2013 Professional Bail Agents of the United States (PBUS) Winter Conference with the First Time Attendees Reception at the Mirage Hotel and Casino. Members from across the United States enjoyed networking opportunities, educational speakers, information on new products and services, and more. One of the major focuses of this year’s conference was a campaign to raise awareness about pretrial release. The Pretrial Release Campaign was held during a two hour session last Monday, and attendance was so high the room had to be expanded in order to accommodate so many occupants. With the room full, Melanie Ledgerwood with Accredited and Dennis Bartlett with the American Bail Coalition shared statistics about pretrial release and commercial bail and discussed some of the issues with what has been presented to the public. Representatives from China have studied the United State’s commercial bail system for insight on how to improve their justice system. Failure to appear on unsecured release is twice as high as those released on commercial bail. 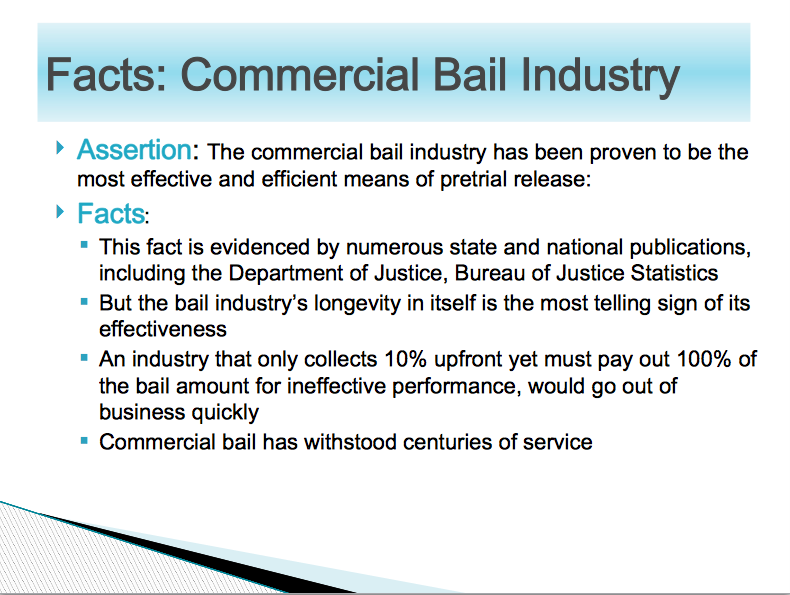 The recidivism rate is almost twice as high for unsecured release versus commercial bail. During the discussion, Ledgerwood and Bartlett both noted that the methods pretrial release supporters use to collect data and statistics skews statistics in the favor of pretrial release. Attendees also shared their stories on the controversial ways pretrial release statistics are garnered in their local states. PBUS will be sharing downloadable information on pretrial release and how to present it to your local community in the coming weeks. Any industry that collects 10% with a payout risk of 100% would go out of business very quickly if their system was ineffective.